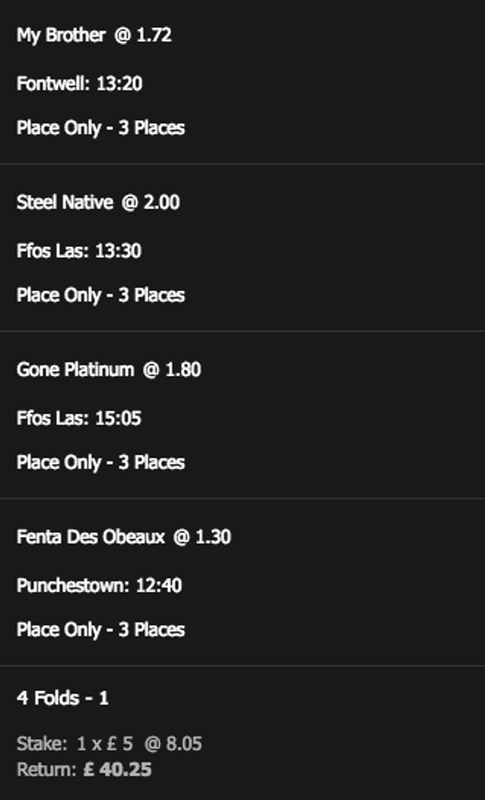 The first horse in todays Stats Accumulator with MoPlay comes from Ireland over the jumps at Punchestown in the Maiden Hurdle over 2 miles and we have gone for Fenta Des Obeaux to place. This Willie Mullins potential superstar won on French debut in good style but then fell at the first flight on Irish debut. Is very highly thought of and could be special. Willie Mullins has a superb record with runners at this track posing a 24 percent strike rate over the last year. 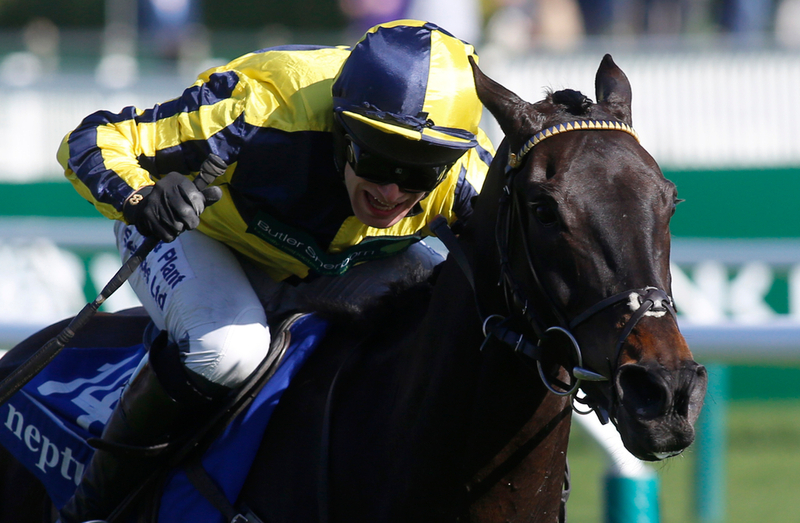 With this, number one jockey Ruby Walsh is in the saddle and he has a 27 percent record for the past 14 days. The second horse in todays Stats Accumulator with MoPlay comes from England over the jumps at Fontwell in the Handicap Hurdle over 2 miles 3 furlongs and we have gone for My Brother to place. This Neil Mulholland trained six year old had been running well getting himself in the frame in his last few starts but his latest performance was disappointing and can be put down to the ground. This trainer loves bringing his horses to this track as he has a 22 percent record for the past 12 months here. With this, Champion Jockey Richard Johnson takes the ride and he has an even better record here with a 24 percent strike rate. The penultimate horse in todays Stats Accumulator with MoPlay comes from Wales over the jumps at Ffos Las in the Handicap Hurdle over 2 miles 5 1/2 furlongs and we have gone for Steel Native to place. This David Rees trained eight year old has been in smart form this season picking a good second on his seasonal return and then last time out getting off the mark over fences, should be just as good going back over hurdles. This trainer is one of the most in form trainers around having a strike rate of 50 percent with his runners over the last two weeks with two of his horses winning out of all four that have run. With this, Steel Native has an 18 percent record at this track. The last horse in todays Stats Accumulator with MoPlay comes from Wales over the jumps at Ffos Las in the Handicap Hurdle over 2 miles 5 1/2 furlongs and we have gone for Steel Native to place. This 10 year old got of the mark over fences nicely on Tuesday and off the same mark today back over hurdles and he has a great chance to double up. This trainer is one of the most in form trainers around having a strike rate of 50 percent with his runners over the last two weeks with two of his horses winning out of all four that have run.